The growing number of land-based gaming centres and hubs is just proof that there is a huge following of players participating in live and actual games. These establishments are known for hosting some of the huge game jackpots and valued payouts in the industry. They also offer some of the finest game selections which truly appeal to the interest of many. But aside from theses offerings, these game centers also provide some of the best poker chips in the industry today. There are different poker variants available in various game centres. These include high-quality poker chips in Canada of different values which are also collected by chip collectors nowadays. There are also custom-made chips, as well as cheap poker chips made of low-class materials which are also valued in these establishments. Poker chips are available in two distinct variants, the ceramic and clay made chips. Both variants are still available in these game establishment and have their own advantages over the other. 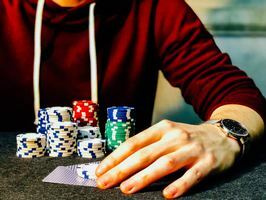 Here are some of their features and factors which give them an edge them from the other poker chip type. Clay poker chips are the most preferred and used variant in most land-based poker tables today. Its feel and texture are just one of the many reasons why more players are using these professional poker chips. Most manufacturers of clay poker chips custom them with a gritty and sandy feel which makes them less slippery and oily. They are also absorbent which assures players that clay chips won't easily slip off their hands. There are also custom clay poker chips which are made using the compression moulding manufacturing process to bind different chip materials together. Most clay chip manufacturers combine clay with sand and chalk to make these chips more persistent and less fragile in the long run. These chips also vary in their colors, designs, and even weight which suit their users. They also have a very distinct inlay area wherein it is dented for at least 1 inch. This inlay provides support when clay chips are stacked which prevents them from sliding. Some chips are also made of sharp brass edges which makes them to easily settle event on their edges. However, clay chips are costlier compared with its counterparts. They are considered the most expensive poker chip type available in the market. Despite this valued cost, they also easily wear out, as well as produce more scratches and dents compared with other variants. On the other hand, customer ceramic poker chips were produced and made available in the gaming industry as durable alternatives for clay poker chips. They are also referred as "clay composite" chip variants but they are not made of clay. They are usually made of porcelain and ceramic which is produced by the injection-moulding process. Ceramic chips are widely used in most gaming hubs and home-based games today. However, this chip variant has a flat and shiny surface which makes it more slippery compared with ceramic chips. Players won't see any indentions, mould marks, and ridges on the chips. It also doesn't have sharp edges which makes it more sticky and harder to stack on tables. Ceramic chips also have more space on their faces - stretching up until its edges. Manufacturers can produce larger chip graphics and designs compared with other chip variants. Its flat surface also makes it easier for game centres and their sponsors to place high-quality chip graphics on them. As mentioned, ceramic chips are more durable than clay-composed chips. They are also cheaper compared with its counterpart which only offers $.50 to $1 per ceramic poker chip.